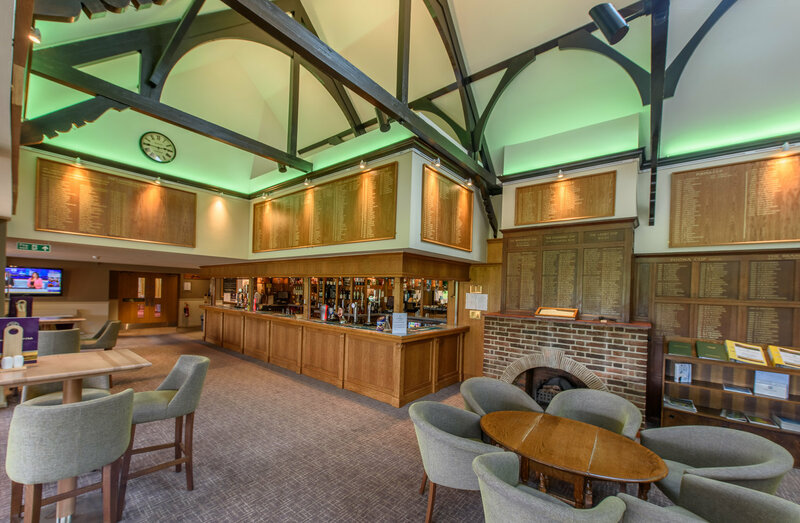 Gog Magog Golf Club is a golf club, located in Shelford Bottom, Cambridgeshire, England. It is located about 4 miles south of Cambridge. David Hales Design Studio was commissioned to update the club located in historic Cambridge. With a diverse membership the interior scheme was carefully tailored. Our design package included the specification of floor coverings and colour schemes, along with the supply of bespoke furniture items. 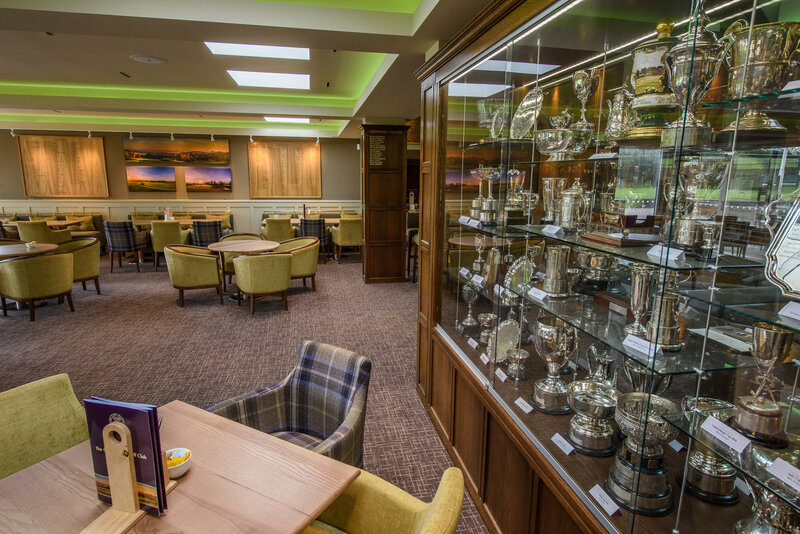 David Hales Design Studio redesigned how the clubhouse memorabilia, history and heritage were presented, reframing photos and reformatting honours boards into a modern style of display. We also added a new lighting scheme to showcase the Club’s achievements. The design palette, colours and textures were specifically chosen to reflect the visual environment and nature of the surrounding topography. 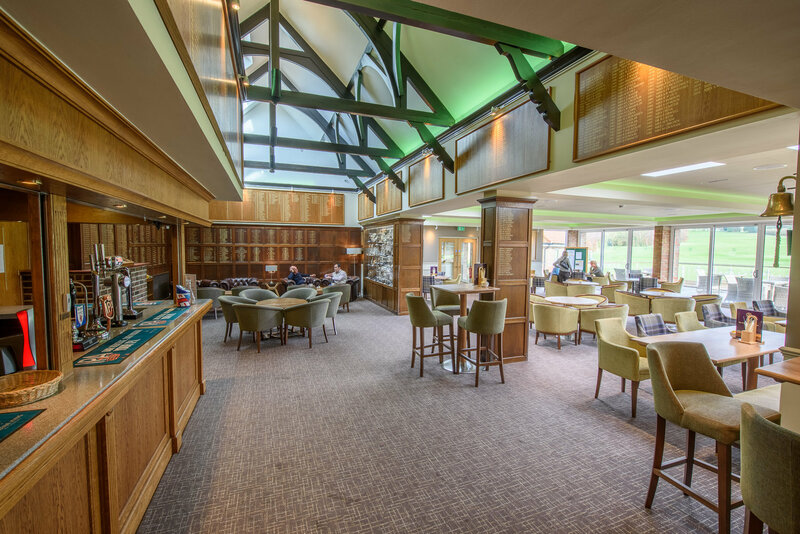 Brick and stone textures were incorporated into the interior to reflect the clubhouse design, and autumnal colours were used to bring the outside flora into the clubhouse environment. Providing a central A/V platform for a new monitor for events also ensured members and guests had a modern method of signing in. 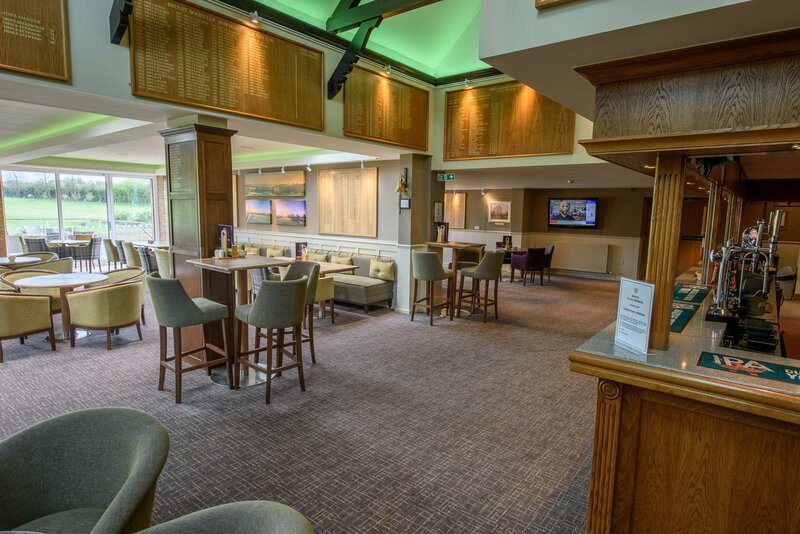 The surrounding space was carefully considered, and David Hales Design Studio provided new plans and details to create social club groupings, while enhancing the viewing angles to the new screen, as well as the fairway outside. Three separate circuits were added for the LED low energy lighting, with optional settings for individual functions or day-to-day use. 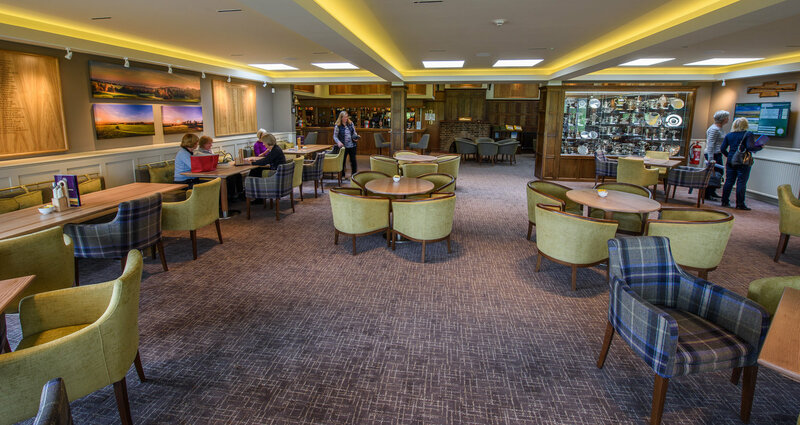 We provided more social group seating in the form of sofas and banquette seating, which enhanced the club feel and provided a fixed seating element which improves maintenance and longevity of furniture. 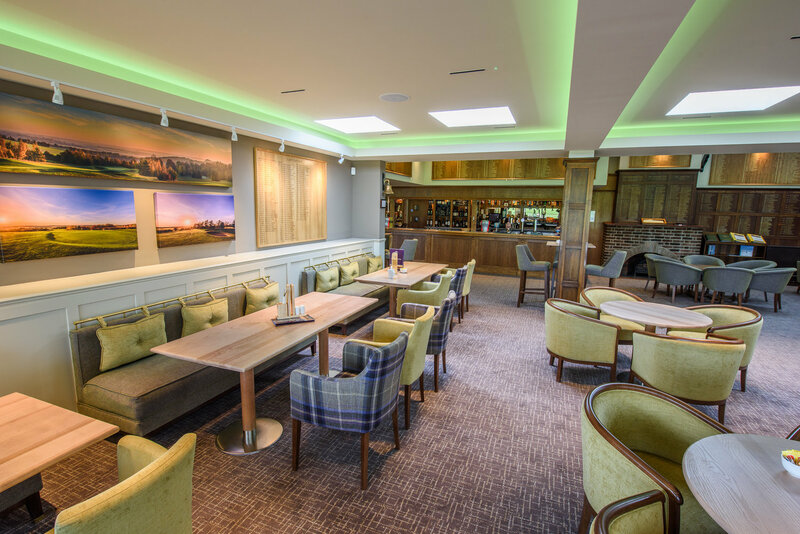 “As General Manager of the Club, it was my responsibility to procure a suitable designer and project manager for one of our extensive Clubhouse refurbishment. With several options available to us, the competition to design our new Club house interior was strong. 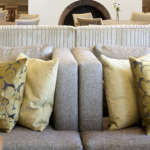 It was clear after an interview process however, that David Hales Interiors and his team were the outstanding candidate. Their thoughtful design and consideration for our needs, was first class. Regular communication and key discussions on functionality, created a space that could be utilised by a wide cross section on our 1300 strong membership. 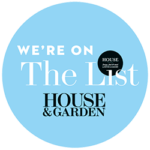 The contracted builders and fitters were first class, very professional and worked to a high-quality finish. 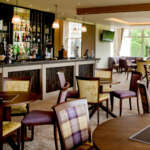 Since completion, we have seen our Clubhouse usage increase, plus our F&B sales rise by a staggering 12%.